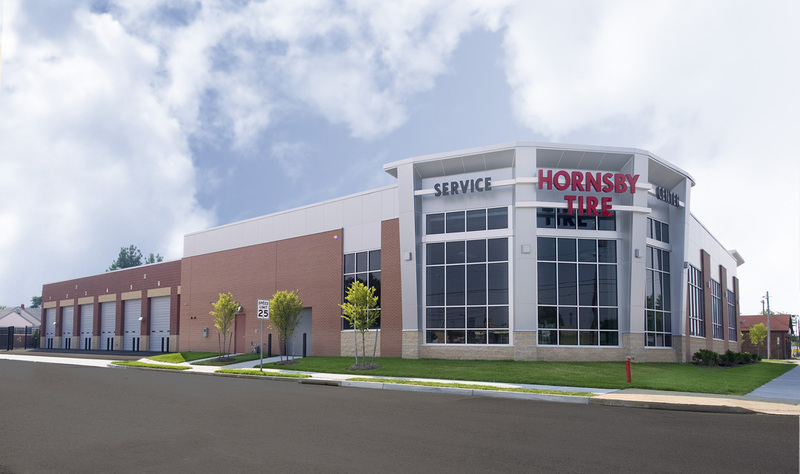 Designed and built by RRMM Architects and RRMM Design Build, Hornsby Tire and Service Center encompasses a one-block area, with the structure itself requiring approximately 19,600 SF of space. 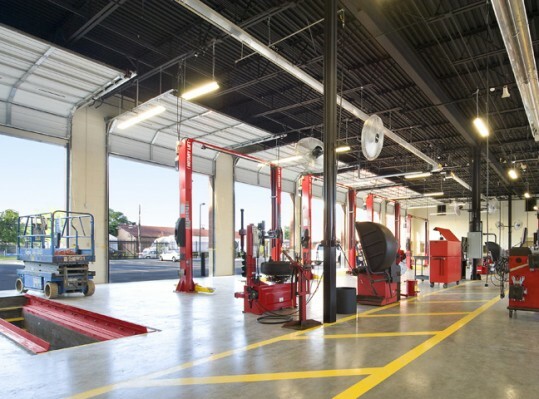 Of the total square footage, nearly 8,000 SF was dedicated to work space involving a 13-bay drive-through repair facility, an employee lunchroom, and separate employee restrooms with a shower. 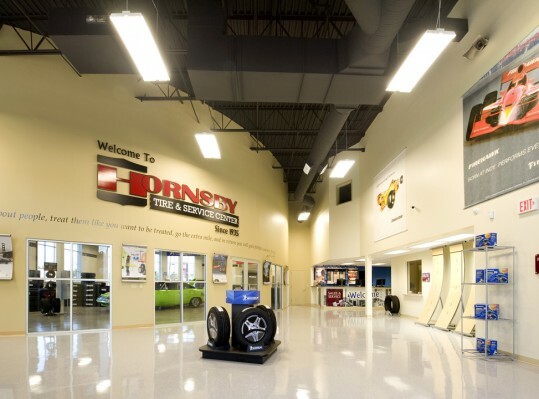 The remainder of the building is dedicated to retail and office space, as well as a comfortable and brightly-colored customer lounge where patrons can wait while their car is being serviced. 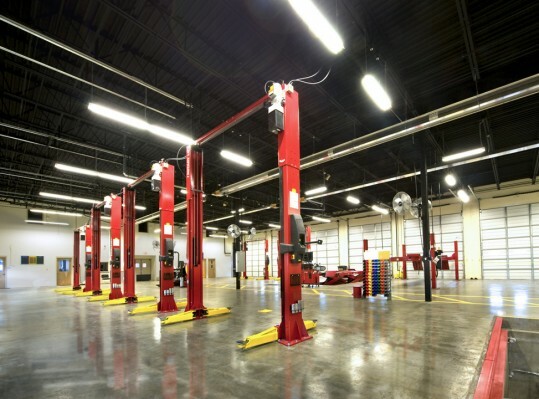 A mezzanine area, accessible only by employees, offers two executive offices with a shared restroom and shower, as well as training and storage areas.